The 2004 Stock Show Best In Show was Val Downer (Arundel Stud) magnificent white. 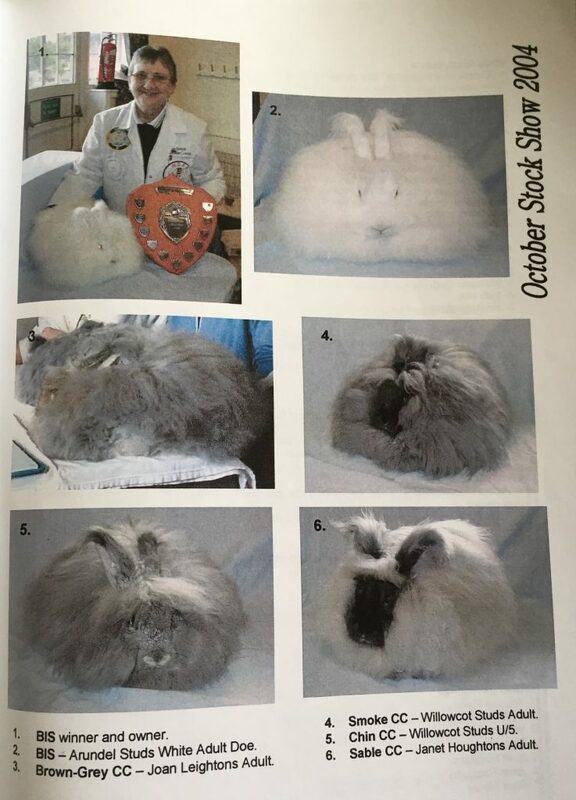 Val was a very successful established breeder for many years, and well known amongst Angora Fanciers, she lived in Surrey and was a a leading figure in the Worplesdon club. Sadly Val dies a few years ago, but she had some superb Angoras, coloureds and whites. Posted 17/10/2018 by SM & filed under General interest, Showing Angoras.